Railfreight - Where are we going next? Railfreight – Where are we going next? April saw the publication of Network Rail’s Freight Network Study which looked at the current state of the sector, the value of railfreight to the wider economy and identified key priorities for the future. The study recognised both the 70% increase in railfreight volumes in the 20 year period to 2014/15, and the recent dip in volumes caused primarily by the fall in coal traffic to power stations. 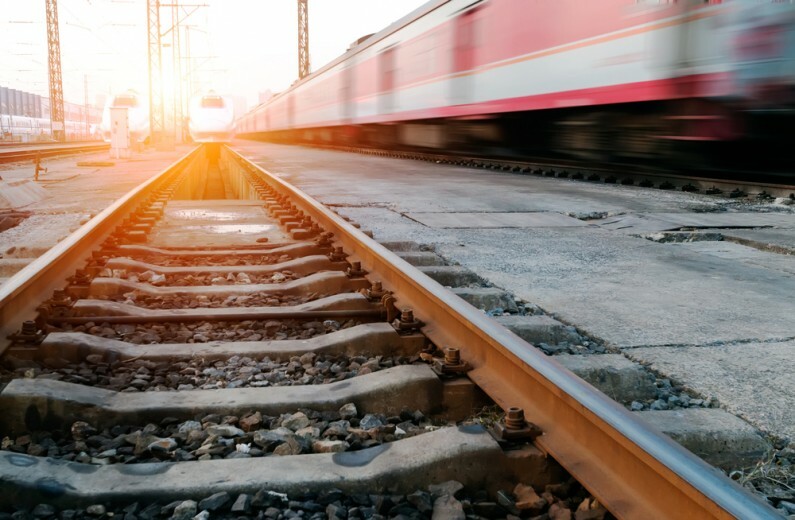 Intermodal traffic has now emerged as the largest single commodity sector conveyed by rail, and this is seen as key to an anticipated 3% annual growth rate in railfreight volumes over the next 25 years. This shift in traffic type, and the geographical pattern changes in freight flow has created capacity constraints on a network that is already experiencing stress from increasing passenger numbers. As a result, the study calls for measures to increase the future capacity of the network, (via building more split level junctions, and laying additional running lines in key locations) and to make better use of capacity by enabling faster, longer trains to be run through enhanced gauge clearance and improved signalling. Such calls for further investment to deliver Network Rail’s proposals sound like great news for Freight Operating Companies and those supplying the rail network alike. But Network Rail’s study may not reveal the whole picture. Whilst Intermodal and aggregates traffic are rising, they are not rising quickly enough to offset the decline in coal traffic. Both are also more closely linked to the underlying economic conditions than the raw material for energy production would have been. Infrastructure prospects can take a long period of time to materialise and require substantial funds to realise. With a General Election on the very near horizon, Government spending plans come under more scrutiny by the public at large, and delivery of these projects may not be at the top of the typical voter’s shopping list. Other matters influenced by Government policy also seem to be going against FOCs such as the regular rises in track access charges and the proposed cut in the level of the Mode Shift Revenue Support (MSRS) grant. While Network Rail’s study makes many valid observations and sets out worthwhile proposals, they need to be linked in with wider policy decisions in order to encourage more freight to travel long-distances by rail in order for the wider economic and environmental benefits to be realised. At Hawsons, we assist businesses across the logistics sector with their business planning, audit, accounts, tax and grant monitoring requirements. We combine industry knowledge with technical experience to provide a bespoke service for our clients. For a free initial meeting, please click on the button located to the right of this article, or click here. Paul Wormald is a partner at Hawsons, working in the Doncaster office. He worked previously with two national firms of Chartered Accountants prior to joining Hawsons in 2001. For more information or advice on anything covered in this article, please contact Paul on [email protected] or 01302 367 262.